Toy Hauler trailers and 5th wheels began their existence as glorified utility trailers. They were a way of moving your bike, ATV, golf cart with a place to sleep. Today they are so much more and fantastic trailers even for people without a power sports toy to put in the garage. These incredibly adaptable trailers provide a place for your BBQ, camping gear, bikes and anything else you want to bring camping; with no extra equipment needed. 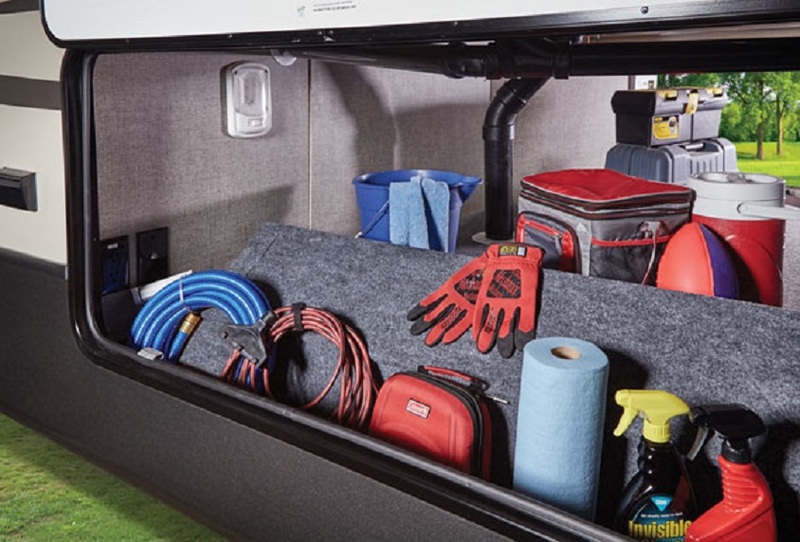 Toy Haulers are incredibly versatile and can have all the luxuries of home. 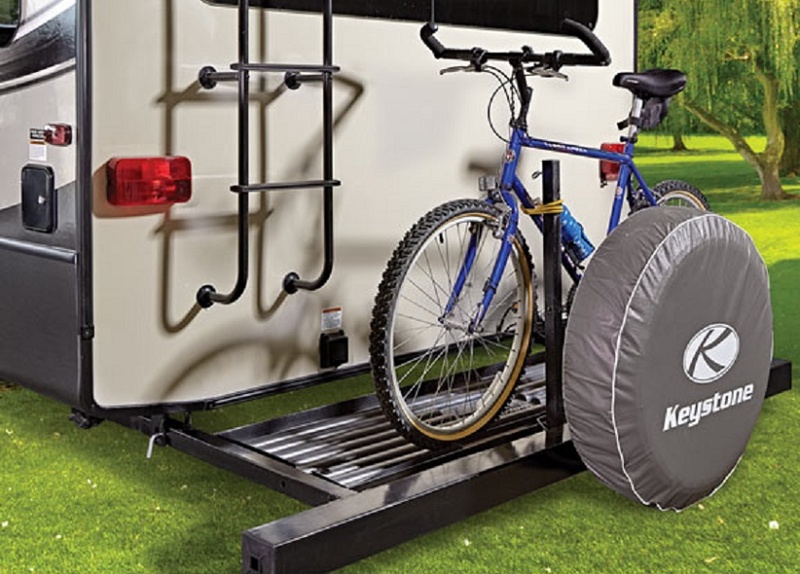 These incredibly adaptable trailers provide a place for your BBQ, camping gear, bikes and anything else you want to bring camping; with no extra equipment needed. They provide sleeping for the whole family plus guests and can be equipped with generators for total off the grid camping. Additionally, the garages become a screened in patio and what better way to hosts guest but in a bug free outdoor space. Come into Great Escape RV and we can show you our selection of great toy haulers and how adaptable camping can be with these boundless trailers.